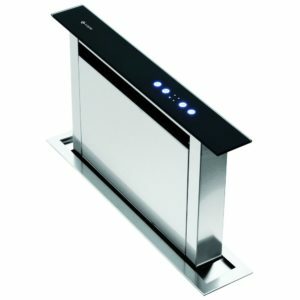 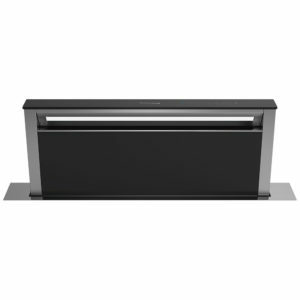 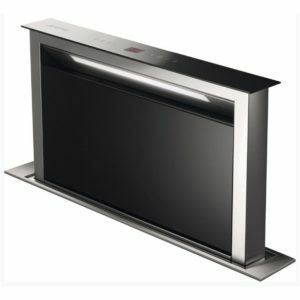 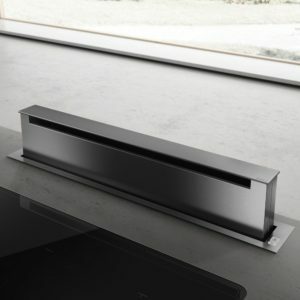 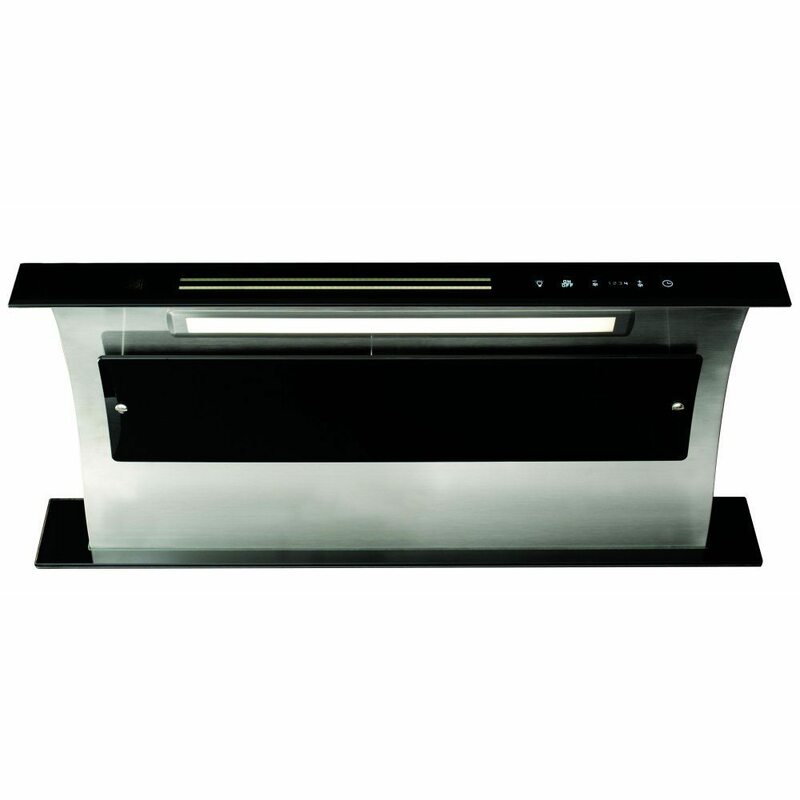 This fabulous downdraft extractor from CDA is finished in black glass and stainless steel. 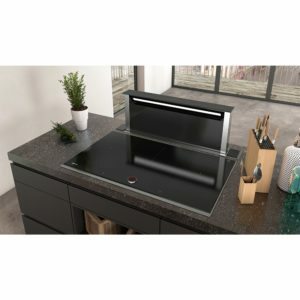 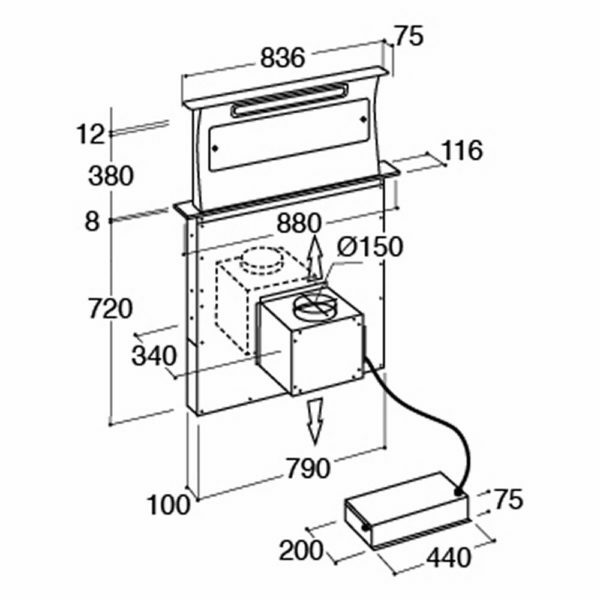 Designed to be built into an island unit behind your hob it rises up from the worksurface at the touch of a button. 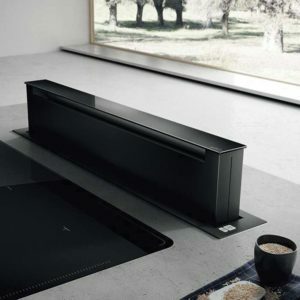 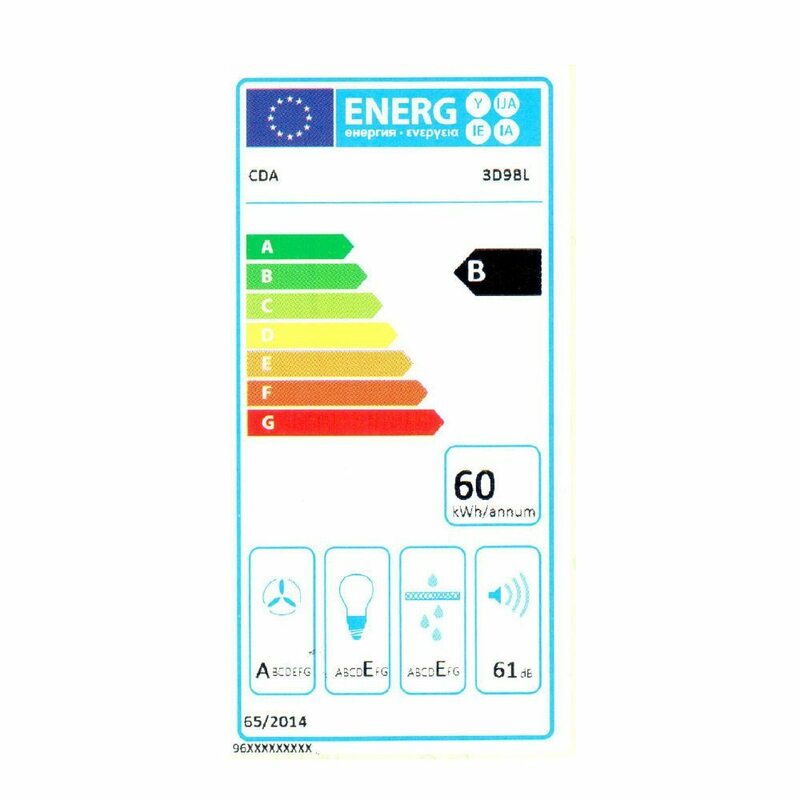 This model boasts an impressive 900m³ per hour extraction rate and can be either ducted out or recirculated using optional charcoal filters.